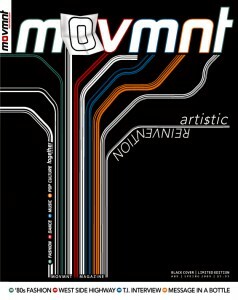 Movmnt Magazine is launching a new campaign in partnership with dance studios, conventions, competitions, and festivals to help bring awareness to our daily habits that pollute the Earth. Habits that can easily be changed by each and every one of us. 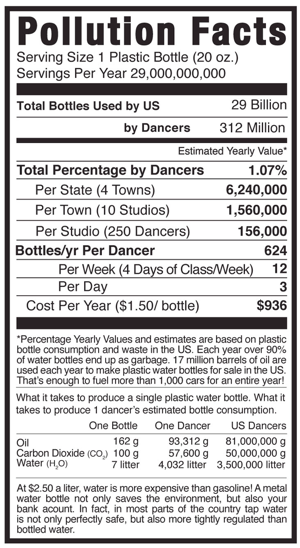 As members of the artistic community, we have the duty to lead by example and stop using plastic bottles like kleenexes. We can refresh ourselves and recycle with one simple gesture: refill our own bottle. Movmnt introduces re:, an aluminium bottle that will not only save the environment, but also save you money. Buy your own bottle now for only $10 +$2 s/h to start the re:volution. Get involved with your community, Dance Studio, Competition, Yoga center, GYM, etc… and contact us to create a personalized bottle. Make re: available and become an environmentally conscious water drinker. 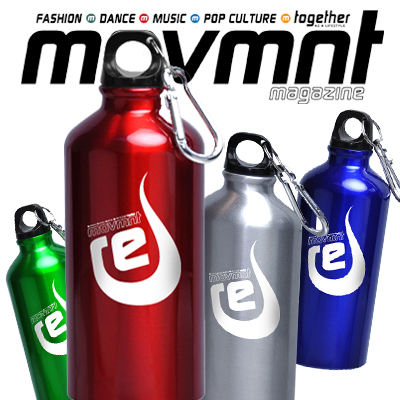 To distribute, or order personalized Movmnt re: bottles, contact us by filling out the form below, or call our toll free number 1 866 713 4946 and ask for Anjuli for more information on how to get your studio, competition, or company involved in the re:volution! email us at movmnt@movmnt.com or call our toll free number: 1 866 713 4946 for more information on how to get your studio, competition, or company involved in the RE:volution!